New automotive packaging for additives - Bark Innovations B.V.
All vehicle manufacturers face growing environmental requirements and exhaust emissions that must comply with the stringent European legislation. This forces car manufacturers to downsize engines. Increasingly more advanced technologies are also being applied to reduce the combustion gases as much as possible, in order to achieve the stipulated and reduced emission standards. All these technologies have the disadvantage that as a result, they increasingly cause ‘internal’ contamination. This contamination often results in malfunctions in the engine management system that are difficult to trace. The additives from High-Tec Specialty are intended to resolve these contaminations. Such additives were previously packed in tinplate aerosol cans, but this packaging offered too little convenience in today’s ‘capless fuel system’, where the usual fuel cap has disappeared. Almost all known bottles for such additives are made from PVC material. To avoid PVC, Bark Innovations has developed the bottles from PP, then subjected them to a further treatment, making this packaging fully suitable for the required application. 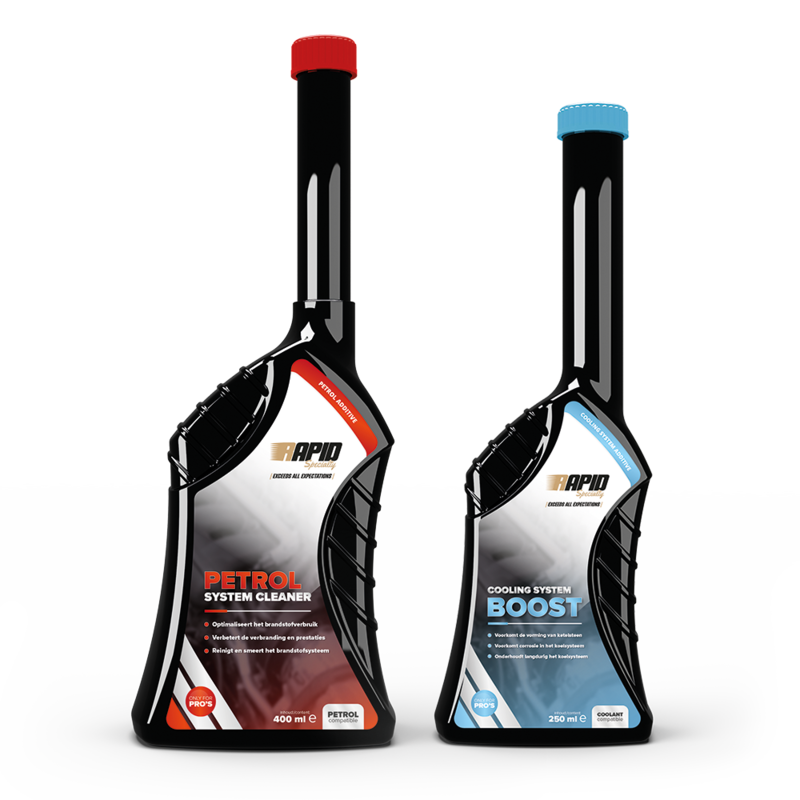 The bottles are being delivered in 250 ml and 400 ml versions, and are suitable for modern petrol and diesel cars. After filling, the bottle is fitted with a closure with an induction seal.